The existing door and frame had been badly damaged due to loading and unloading of pallets. Damages had not only prevented the door from sealing but also gave concern to the structrual integrity. 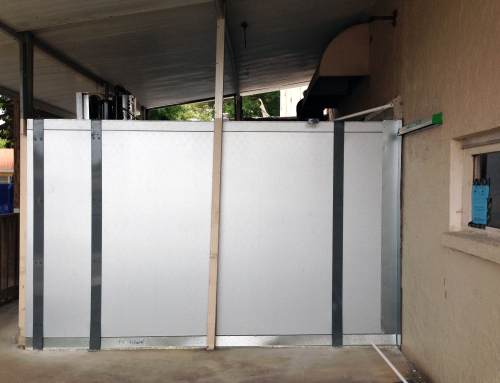 We removed and replaced a standard 4′ x 6′ walk-in cooler swing door with a new 5′ x 110″ tall sliding door and reframed the door jambs to increase the structural support.